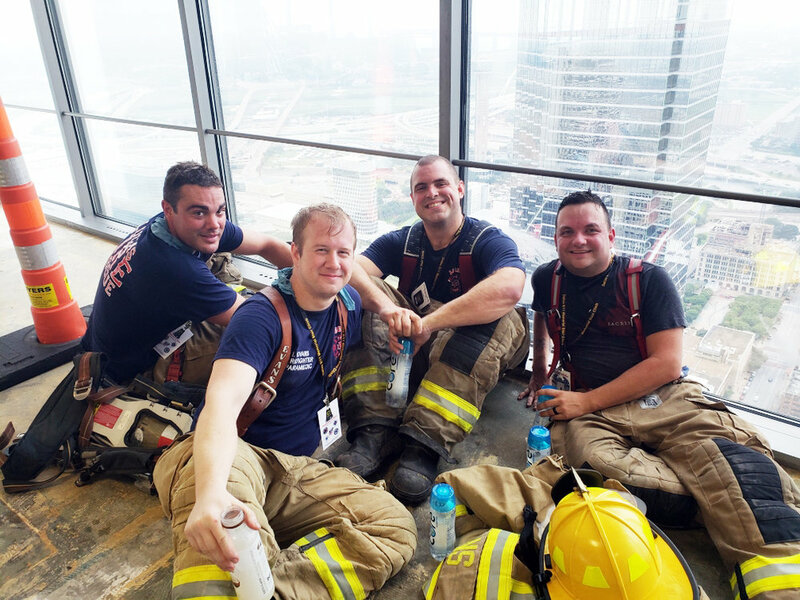 Members of Lucas and Fairview Fire Department participated in the Dallas 9/11 Memorial Stair Climb on Saturday, Sept. 8. “The first known 9/11 Memorial Stair Climb event occurred on September 11, 2003, during "Operation Enduring Freedom" in Parwan Province, Afghanistan. Albuquerque Fire Department Lieutenant Charles Cogburn scaled a two story building 55 times wearing body armor, a helmet and an M-4.” (https://www.dallasstairclimb.com/history) Since 2003, more and more stair climbs have been held across the nation and some in other countries. Bender said, “I climbed to honor the fallen from 9/11 and those who have passed since then due to post-tragedy illnesses.” He found listening to the speaker from FDNY and hearing the final bell to honor the fallen as the most moving moments during the event. Members of Lucas Fire Rescue Department during the mid-climb break. They had climbed 55 floors and had 55 floors remaining. During his climb he described his thoughts, “Throughout the climb, they have photos of the twin towers, firefighters helping others on 9/11, quotes from 9/11, you really just think about the main reason you’re there, and that’s to represent a fallen firefighter and climb in honor of him.” And, physical state, “You basically are climbing in a giant sauna with 650 people all in one stairwell. You go through a lot of water, dehydration, cramping, and a sore back from the gear.” And, emotionally, “It’s pretty uplifting. When anyone is in the stairwell and having a hard time finishing, someone is always there to offer encouragement, a hand to get you up the next step, or a drink of water. This job comes from the unspoken brotherhood of the fire service. 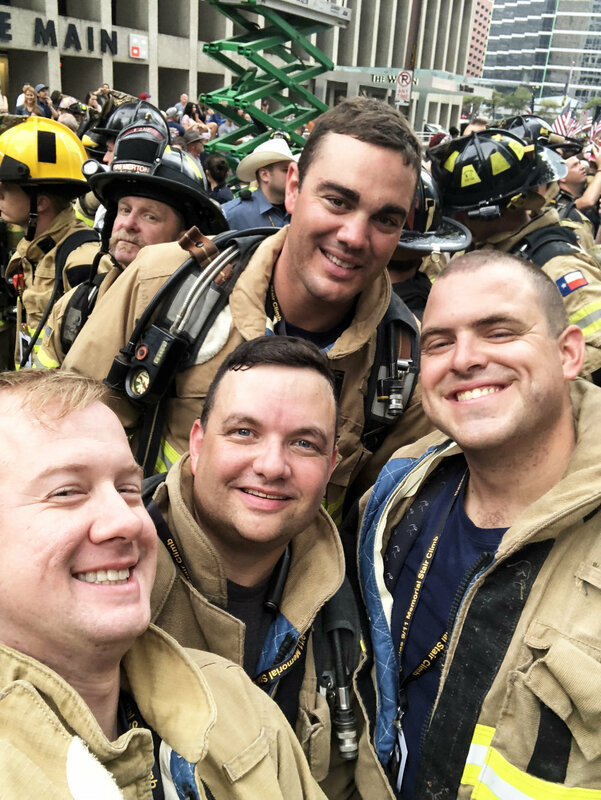 We may all be from different departments but we are all there for the same reason, and that’s to honor those fallen heroes who came before us.” He will continue to do the stair climb.